Recent additions are highlighted in yellow. Businesses that sell food and drink, eg farm shops, can be found on the Food & Drink page. Weetwood resident Barbara Wilkie provides an acupuncture service on Mondays and Fridays at Forest Hill Practice, Tarporley, and can also do home visits locally. You can find more information about acupuncture on the website of the British Acupuncture Council. Kelsall residents Andy and Jean Payne can help you to maintain your home in first class condition. After renovating several properties, we started this business in October 2009 and provide a range of property maintenance and repair services. For the outside of your house these include painting, fitting or repairing fencing, gates and guttering, laying paths and general garden maintenance work. For the inside, painting and decorating, fitting or re-hanging doors and general joinery work, laying floors, basic plumbing and fitting or modifying kitchens and bathrooms. We can provide a free no-obligation quotation for any job, however small. Barley Rise Holiday Lodge with views over fields of cows and sheep with fresh eggs available from our own chickens. Weekend Breaks, visiting friends and family or just need a holiday. We are your perfect location in the village of Kelsall, Cheshire set in the heart of the countryside, yet only 7 miles from Chester city centre. If you are interested in staying at Barley Rise Holiday cottage please contact them to discuss your requirements. Bookings can be made direct by telephone 01829 458261 or via e-mail info@barleyrise.co.uk, if you prefer you can book via Holidaylettings.co.uk. For further details visit the website here: www.barleyrise.co.uk. My name is Sarah Stanyer and I live in Clotton, my new business is called Be A Happier You, this incorporates various therapies but the focus is on Access Consciousness Bars Therapy. Access Consciousness Bars therapy, is a gentle therapy, where I touch 32 points on your head, giving a person a choose of a different possibility of being free from mental and physical health issues, or just enjoy being totally relaxed. I have overcome the pain and fatigue of Fibromyalgia, and I am now off all my medication for this, anxiety and depression. My oldest daughter Amy, has severe learning disabilities, dyspraxia and autism, Access has created calm and space for her. For further details visit Sarah's web site at http://www.beahappieryou.co.uk/. Gift Cards available - Buy 4 and receive a therapy for half price for yourself. For all your building and landscaping needs. Cheshire Brick and Slate was established 36 years ago specialising in reclaimed and new building materials. We supply Bricks - York Stone - Sandstone - Setts - Coping - Slates - Ridge Tiles - Gravels - Bark - Sleepers - Troughs - Statutory - Architectural Antiques. Cheshire Emporium has two showrooms housing Antiques and Collectables - Reclaimed and New Pine Furniture - Aromatherapy and Holistic Massage - Tea Room/Café. More information on our website www.cheshirebrickandslate.co.uk. I am a fully qualified dog groomer offering a mobile service around West Cheshire, Chester and Nantwich. Grooming services include nail trimming, bath using all natural shampoo, and full breed specific grooms using clippers, scissors or hand stripping. My vehicle has been specially adapted to offer a calm, relaxing and temperature controlled environment for your dogs to be pampered. All equipment is available on-board, including warm water and electricity, all I require is somewhere to park my vehicle! Visit my website for more information: www.cheshiredoggrooming.co.uk. Award winning rose specialists and exhibitors, Rachael and Keith Jones grow thousands of beautiful roses and run their mail order rose business from Golden Fields nursery on Barrow lane in Tarvin. Although not generally open to the public, local customers are welcome to collect ordered roses and accessories by appointment. Potted roses are sold between April and November and also bare root stock over the winter and early spring months. We have recently launched our facebook site @jonestherose with lots of rose information, fun competitions and news about our little flock of sheep, pigs and rescued battery hens. Amanda Keech and her 4 tiny, gentle, adorable ponies create wonderful pony parties, hour long pony experiences, kids holiday activities and school visits for primary and pre-school children in her idyllic orchard. Pony rides are available from age 2 to around 11. Children also have great fun grooming and decorating the ponies with beautiful ribbons and stickers! A visit here is a very personal and unique affair and we ensure that every child is treated individually, taking care to build confidence where needed or challenge more confident children so everyone goes away having had a great time. That even extends to the parents who also enjoy the chit chat about ponies in general and our personal pony tales. Visit our website for more information. Hope to see you soon! I am a qualified and experienced maths teacher who is offering tuition for: 11 plus entrance, 13 plus and public school scholarship and GCSE level. I have over 25 years experience and have prepared children for entrance to, among others, Manchester Grammar School, Shrewsbury and Eton and have built up strong bonds with many of the senior independent schools in the North West. I am not part of an agency and therefore will offer a different kind of service, supporting and reinforcing the work currently being done in school rather than adding an extra burden to the student by following a separate scheme of work! For those interested in 11+ entrance exams I can also assist with Verbal and Non-Verbal reasoning. I have separate rates for individuals, semi-private (2 or 3 pupils) or small groups (maximum 6) and am prepared to travel locally. Please contact Chris Hely on 01829-751296 (home) or 07807-007463 (mobile) or email cjhely.tutorials@gmail.com for further information. Coaching Mums is a coaching and training consultancy that inspires mothers to achieve success and balance, whilst helping employers of professional women to retain valuable talent. Founded in 2003, we have coached hundreds of women to achieve their personal visions of success. Coaching Mums runs MumpreneursT programmes to help mothers start and run profitable businesses that complement their lifestyle. Coaching Mums' MD Amanda Alexander is regularly asked to comment in the press on issues relating to work life balance and parenting. Visit our website and subscribe to our popular ezine, "Inspire", packed full of inspiration especially for mums! The Connective Learning Dyslexia Centre was set up in the Kelsall Parish Rooms (The Old Telephone Exchange) in 1999 by Isabel McIntyre, together with the help of her sister Margaret Hogan. As word got round about their success in helping children to overcome their literacy difficulties, demand for their services grew and since then, hundreds of young people have been helped to catch up to the reading and spelling abilities of their peers. A multi-sensory computerised method is used, which involves the simultaneous use of the eyes, ears, speech organs, fingers and muscles so that the brain receives the same 'message' from a variety of pathways. Multi-sensory methods have long been recognised as the best way for people with dyslexia to learn and - when coupled with the staff expertise and highly supportive one-to-one environment of the Kelsall Centre - these methods can enable them to overcome their difficulties. This offers a way forward for frustrated and anxious parents - truly effective, specialist help for their dyslexic child. More information on Connective Learning Dyslexia Centre's website. I would welcome the opportunity to discuss your requirements further and offer a confidential and flexible service. Welcome to English Tuition! We are a unique company offering one-to-one English lessons to students in the comfort of their own homes. What makes us stand out from all the rest of the tutoring agencies? Well we are a small company comprising of highly qualified subject specialist teachers. Every teacher has a degree or masters in English, a teaching qualification and a current Enhanced CRB Disclosure. As parents and carers we all want our children to have the very best start in life. If our children have a solid grounding in English this is a building block for their future studies. With outstanding English Tuition you can raise the level of your child's school performance in all subjects because English is the basis of most subjects and how those subjects are assessed. With improved English skills this will support children who may have temporarily fallen behind and need to catch up, increase their confidence and enjoyment in English, help them develop study skills, and allow them to work to an Individual Learning Plan that lets them work at their own pace. We offer one-to-one tuition sessions to children studying at Key Stages: 1, 2, 3, 4 and 5. More information on English Tuition's Website. Kelsall resident Helen Corson provides a domiciliary eyecare service for local people who through ill health or incapacity find it difficult to visit a High Street Opticians Practice. Please visit her website to find out more about her service. The Firs Veterinary Surgery offers everything from routine vaccinations and neutering to more complex surgery. We are approved by The Royal College of Veterinary Surgeons which means that we are regularly inspected to ensure that we maintain the highest standards of care. We have recently invested in new blood and urine analysis equipment for swift and accurate diagnosis of conditions, a new x-ray machine and a new dental scaler and polishing machine. Our staff are always on hand to offer free help and advice and our principal vet Fiona Wall lives in the village. We are always happy to come and talk to schools and community groups. As part of a small, independently owned veterinary group we also have the support of referral specialists and access to our 24 hour hospital located in Hartford, Northwich. If you have any concerns over the wellbeing of your pet or want any help and advice please do not hesitate to contact us on 01829-751500. Hours of business: Daily 8:30am to 5:00pm. Closed on Sundays. Delivery service available on request - free locally. More information can be found on Morrey's new website. Kelsall & District Garden Club members benefit from a 10% discount - don't forget your membership card! Fox Web Solutions provide creative and professional web design and development services in Cheshire and the North West. We aim to serve as a single point of contact for all of your online needs, including website design and development, ecommerce, search engine optimisation, database design, website hosting, graphic design and business branding. Whether you are a fledgling business, individual, or well established company, Fox Web Solutions can work with you to help you realise your potential. We offer truly bespoke web design and development services tailored to your needs. Please take a look at our portfolio on our website www.foxwebsolutions.co.uk and see what we could do for you. Holmes Pharmacy is a long-established pharmacy serving the local communities of Kelsall and surrounding area. Since October 2012, it has been under new management by the present owners, Kenny & Catherine. A full range of NHS services is provided. Private consultation area is available for NHS advanced services and for confidential conversations. Free collection and delivery service for prescriptions is available upon request. Holmes Pharmacy provides two pharmacy enhanced services, Pharmacy First, which is commonly known as Minor Ailments Service, and a Smoking Cessation Service. Residents who register with us can get treatment for a number of minor ailments without having to see their doctor. We can also help smokers to quit smoking by providing advice on all nicotine replacement products and other medicines that help quitting. More information can be found on Holmes Pharmacy's website. Have you been thinking about changing your career? Are you facing redundancy? Are you trying to find your first career? I'm an Independent Careers Adviser based in Kelsall who designs and delivers a personal service to enable clients to secure their next job/career, whatever their circumstances. You work directly with me and I use my skills and expertise to make sure the process we work through together is effective for you and provides you with exactly what you need, no more, no less. Your individual process will be cost effective and designed to meet your timescale requirements. If you'd like to find out how I can help you, take a look at my website www.jillcox.co.uk or call me on 01829-752133 for a free, initial discussion. Kelsall Hill Equestrian Centre is part of Organsdale Farm and consists of over 350 acres of great riding country. We offer quality facilities for riders of all abilities as well as a wide range of equestrian activities. We have invested in excellent high quality stabling, a 46m by 80m arena, a 10km farm ride, a cross country course, BE courses from pre novice level, water splashes and a water complex. The farm ride is ideal for riders of all abilities. It is a scenic, traffic free environment with a huge number of jumps, all of which are optional. At Kelsall Hill we produce our own hay & haylage which is grown and packed on site. We sell this to retail outlets and also at the farm office. We can also deliver if required. We are trying to build a team of helpers to call on when we have big events or simply need some help, if you are interested please give John a call on 07809-689972. Our gallop, created by Landtech Solutions with a Martin Collins surface, is 4.5 furlongs in length with a return sand track. Cost is £15 for 1 horse, £30 for 2 horses. Please email or call 07809-689972. For more information please visit www.kelsallhill.co.uk. A husband and wife team, offering a wide range of services including (but not limited to) cat sitting, dog walking, small animal care, pet taxi, pet to vet, puppy and elderly dog visits, on-holiday home checks, garden/plant/greenhouse sitting, general garden and home maintenance, and any other odd-jobs you may think of - just ask us. We can tailor these to suit your needs, so that whether you're off on holiday, away on business or simply working long hours and short of time, you can be assured that your pets and home are being well cared for. We are a local family run business that has been trading in Kelsall for the past eight years. We are also part of the Bosch Car Service network which is made up of independent garages that are able to demonstrate an ongoing commitment to the highest levels of technical and customer service. Our highly trained technicians use the very latest technology to keep your car where it should be - on the road! We are experts in vehicle repair including all types of servicing from an oil change to your manufacturers service even if your car is still under warranty, Tyres, Exhausts, Brakes, Batteries, MOT testing, air conditioning and vehicle safety inspections & we are on hand to advise you in jargon busting, simple terms. All work is guaranteed, we will always keep you informed while your car is with us and will never carry out work without checking with you first. Give us a try and see why hundreds of customers return to us time after time and experience a refreshing, more professional approach to looking after you and your car. See you soon! We are a small local business and most of our work is through word of mouth. We pride ourselves on the quality of our work and for being friendly and reliable. Please contact us for free quotes on gas boiler, bathroom and other plumbing installations. For gas boiler servicing and landlord gas safety checks. Also for plumbing repairs. Our company is fully insured and gas safe registered. Ian is a member of the Institute of Plumbing. Ian Mackay is a City and Guilds qualified Plumber. 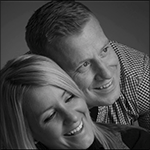 His business Mackay's Plumbing was launched in Middlewich in 2004. In July 2009, he and his family moved to start a new life in Willington. Mackay's Plumbing is a family run business. They pride themselves in providing excellent service and customer satisfaction. Mackay's specialise in bathroom installations and refurbishment, tiling and all aspects of general plumbing. They are registered with Age Concern and Cheshire Trading Standards. Please visit their website for more information - www.ianmackay.co.uk. Set in the glorious heart of the rolling Cheshire countryside, near to Delamere Forest and only 15 minutes from the centre of Chester, Mount Pleasant Gardens offers the ideal opportunity to meander through some of the finest displays of traditional mixed gardens. Visitors can purchase a variety of home-growns plants and shrubs as well as seasonal hanging baskets and other gifts. From May 2007 access to the gardens will be free for valid RHS members. The Mount Pleasant website gives more information. 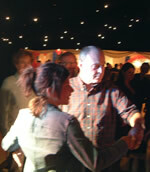 If you are planning a family party, or a fundraising event why not have a Barn Dance, Ceilidh, or Hoe-Down? This is fun for all ages from 7 - 77, and for those who have never danced before as well as experienced dancers. Mo chooses a programme to suit your group, then explains the dances with a practice 'walk through' and a reminder as the music plays. Mo works with various musicians, and will put you in touch with a group that suits your preferences and budget. Mo likes seeing people having fun, so don't worry about making mistakes. More information on Mo's website. Specialising in portraits and wedding photography, Nadia's style is relaxed and fun with the emphasis on your enjoyment of the whole experience. 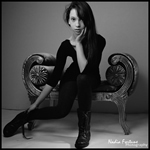 Portrait sessions can be done at either her studio, at your home or at a location of your choice. Nadia will gladly help document your special day with weddings being covered throughout Cheshire and beyond. 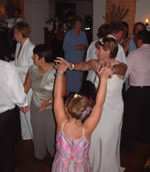 Local residents of Kelsall, Tarporley and Tarvin areas benefit from a 15% discount on wedding prices throughout 2012. More information on Website or on Facebook. Are you struggling to maintain up to date and accurate records? Then let us take that burden away. We can ensure that your accounts are up to date and you are still in control of your business. We maintain your records on a computerised package ensuring accurately controlled accounts up to trial balance stage. Because we are a small company ourselves, we are able to keep costs low. We charge fixed fees with no VAT on our services - this helps to cut the costs of High Street accountancy fees without cutting the benefits to you. We offer a FREE consultation without obligation, to new clients. There is also an introductory offer of 10% discount for the first three months, enabling all set up costs to be kept to a minimum. The services we offer are Bookkeeping, Payroll, Self Assessment Returns, Invoicing & Credit Control and Debt Collection. or phone (07754-929029) for further details. PrintHub offers high quality professional print services for both retail and trade customers at competitive rates. Full printing services including banners, posters, brochures, flyers etc. They also offer higher end signage solutions including A Boards, acrylic signs, flags etc. Finally, they offer in-house graphic design services. Free delivery to any resident or business in Kelsall or surrounding towns. Clients include advertising agencies, retail stores, pubs and restaurants, professional businesses, and graphic design companies. They have already done a lot of work for Kelsall Primary, including banners that are currently on display. Oui Creative is run by Ceri Holmes, local to the village for 14 years, undertaking projects for companies including BBC, Ford, Co-op, Mothercare and many more, I have also worked closely with the British Heart Foundation, Alzheimer's, RSPCA amongst other charities. My work can involve basic Stationery creation, posters, booklets to full, interactive presentations, Photography, Video Production and Editing. I have also spent many years educating children in the art of graphics and visualisation. I’m home based and happy to discuss any needs you may require. We have proudly milked our herd of pedigree Holstein cows and purebred Jerseys at Street Farm for the past 32 years; our son is the 6th generation farming in Cheshire. Based at the foot of Kelsall Hill, on the A54 in the heart of the beautiful Cheshire Countryside, we are surrounded by the villages of Tarvin, Ashton and Kelsall. We started milking with a handful of cows and steadily over the years built the milking herd to around 180 cows and a 100 youngstock. The welfare of the animals is important, as happy healthy cows are more productive and easier to look after. The way the dairy industry is set up at present means we are at the end of the retail chain and as such have no say or control over the price we receive for our milk. Over the last few years we have been paid below the cost of production, so we took the momentous decision to take some control and sell direct to the consumer. We hope the venture will provide an income that will allow us to invest and offer a sustainable future for this farm. Fresh from the cow the milk is cooled and sold through a vending machine called the “Milkbot”. The machine is easy to use, takes cash, credit and debit cards and contactless payment and customer can dispense the amount they want into 1 or 2 litre poly bottles provided, which are included in the £1.30 per litre charge. We also have lovely reusable, dishwasher proof, traditional glass bottles. We are open 7 days a week, 7am to 7pm, with parking right outside the shed. Fresh Raw Milk (unpasteurised) has a rich, full bodied, clean taste, full of flavour, full of natural goodness, nothing added and nothing taken out, just as nature intended, the nearest thing to a complete food. It contains all 8 essential amino acids, more vitamins and minerals than pasteurised milk and is high in omega-3 fatty acids. The natural balance of protein, carbohydrate and electrolytes make it a very good post exercise drink, also the high amount of omega-3 fatty acids aids muscle recovery and reduce muscle soreness. It is believed that raw milk can reduce the severity of asthma, eczema and other allergies as it contains immunoglobulin’s (antibodies) which boost the immune system. Some lactose intolerant people may find raw milk easier to digest as it still contains lactobacilli bacteria and the enzyme lactase which aid lactose digestion. The sale of raw milk is strictly controlled and can only be sold by licensed producers, who are inspected quarterly. During the visit The Food Standards Agency watch the milking routine, look at the cattle, inspect medicine records and test the milk before permission is granted to sell unpasteurised milk at the farm gate. If any local group would like us to come out and give a talk and tasting session we are happy to explain all about the product. For more information please contact Joanna on 07474022230 or see our facebook page – StreetFarmDairyTarvin. A date for your diary - Sunday the 11th June, 2017 is Open Farm Sunday, and we are inviting you to visit our dairy farm, to talk to the farmer, look at the machinery, but most importantly meet the cows and calves. With large covered areas for year round shopping whatever the weather, Okells have a wide range of plants to suit any garden however large or small. Although plants are at the heart of Okells' business, they also stock an extensive range of gifts and bird care products. Their enthusiastic and experienced staff are happy to offer help and advice. Open 7 days a week, 8:30am to 6:00pm Monday to Friday, 9:00am to 5:30pm weekends. Kelsall & District Garden Club members benefit from a 10% discount - don't forget your membership card! Click here for more information on Okells Garden Centre, Farm Shop and Coffee Shop. More information can be found on Okells Garden Centre's website . Overdale Counselling is focused on providing high-quality individually tailored treatment and customer satisfaction. I am an integrative counsellor, which means I draw on and blend the different types of behavioural therapies, psychoanalytical and psychodynamic therapies and humanistic therapies. Integrative counselling allows the counsellor to explore an issue from a variety of distinct theoretical perspectives and use concepts and techniques from each. Look around my website (www.counselling-overdale.co.uk) and, if you have any comments or questions, please feel free to contact me. Full garden clearance and renovation projects also undertaken. Whether you want help with a garden project, care for your garden whilst you are on holiday or a regular service to help you keep on top of things, Parky can provide a professional, hard working and friendly service. Use someone local and trustworthy for all your gardening needs. Call Matt on 07941-633658 or 07966-259779. Philip Anthony Photography are wedding specialists, based in Kelsall. If you are getting married, please get in touch; we would love to chat about your special day and produce a series of stunning photographs, capturing the fun and emotion of your wedding. Please see our website www.philipanthony.co.uk for more examples of our work. Podnet designs, produces and maintains web sites for a variety of businesses in Cheshire, the UK, Europe and the US. Sites are 'graphically designed, visually appealing, fast-loading, easy to use, and produced by professional web designers and developers'. Podnet started operations in 1998 from a small business site in Tarporley, and now produces bespoke web sites and internet animations for a diverse range of international businesses. You can get much more information about Podnet from their website. Here at Roundhouse Contracting Ltd we provide a full building service using more than 65 years of experience passed down through generations of our family. From broken flagstones to cracks in walls, drainage, landscaping and driveways, we have all the services for all your building needs. We build bathrooms and kitchens, extensions and renovations as well as luxury new homes. Browse our website and find out more. Sable Cottage is a purpose built, privately run care home set in the heart of Cheshire's finest countryside, neighbouring the beautiful Delemere forest and 8 miles from the historic city of Chester. Services include in-paitient nursing care, day care, respite care, or care for those with early stages of dementia. More information can be found on Sable Cottage's website. Paddock and small holding field maintenance – if you only have a half acre or paddock/field upto 5 acres – we can provide cost effective land management. With a micro tractor and small equipment we can get access through smaller gate ways and manuouver around paddocks. Contact us on 01829 458261 for a competitive quote. For further details visit the website here: Smallholding Mangement. The business, which has been running for 20 years, moved from Barrow to Kelsall in May 2010. Chris Brooks, the manager, operates a general taxi service, driving an 8 seater Ford Tourneo minibus, for nights out, airport transfers, light haulage, appointments, parties etc. Chris offers a reliable, friendly service and competitive fares in the local area. Tarvin Taxis, Bramley Court, Kelsall. 07890 454207. New Owner - Julie Ellams, over 20 years experience in hair. Assistants Tracey and Sharon. Wella and Fudge products used. Village Hair Studio, Church Street North, Kelsall. 01829-751455. We have been trading in Kelsall for nearly 40 years providing Good Quality Local meats to the village and have now indroduced fresh vegetables, local bread and confectionary. We are well known for our high quality home made sausages, burgers and cooked meats. Why not call in for a chat and we can suggest something for dinner! We are open from 7.30am to 5.30pm Monday to Friday and 7.30am to 1.00pm on Saturdays. See Wally Dutton's Website for more information and to keep up to date with special offers. We are a husband and wife team who established Will Consult You Limited in 2013, providing advice on estate planning in a relaxed and ethical manner for families nationwide. We are truly independent and "non-biased"; having relationships with many SRA regulated solicitors who draft your legal documents. Since we do not charge an hourly fee for our service, you can take your time to consider what is important to you and your families future. We will visit you in the comfort of your own home to give further advice and guidance without a charge. We provide fixed fees for legal documents you may require. Simple, easy, relaxed - one less thing to worry about. LOOKING FOR A SPEAKER AT YOUR GROUP? We present to groups on a regular basis such as Royal Voluntary Service, U3A, MS society and many other local social groups. We present in a very light hearted and jargon-free manner, welcoming many questions along the way. Why not bring your group up to date on current legislation?